The execution time for pyro is about 10 minutes but edward code is about 13 seconds. Why pyro code is much slower than comparable edward code? I performed these code in non-gpu laptop with 8core cpu. ValueError: The event size for the data and distribution parameters must match. Also when I check my CPU load(using my first code), I think it is not distributed? Do I need to put something so the computation become parallel or it will be automatically distributed into my CPUs? @yusri_dh I’ve updated the example by adding .expand_by(data.shape).independent(1). This should hopefully work in Pyro 0.2. If you’re using Pyro 0.1.2 you might try dist.Bernoulli(f.expand(data.shape)). Thank you @fritzo . Now the code is faster even though still slower than Edward. As you expect it is 10x slower than Edward (120 seconds). Why is pytorch slower than Edward in this case? Is it because of the backend, pytorch vs tensorflow? In what case, pyro will be faster than Edward because in Dustin Tran’s blog it’s said pyro will be faster in CPU than Edward? I want to use pyro because, in my old university server, it is difficult to install tensorflow and Edward (it needs a newer version of GCC). PyTorch will be slower than Tensorflow for small tensor computations because Tensorflow can compile the computation graph and thereby avoid Python overhead. For larger tensor computations the two frameworks may be closer, though Tensorflow is still better at executing multiple tensor ops in parallel. First we’re parallelizing gradient calculations to reduce variance. This can help in models with small tensors. Currently we only support parallelizing by hand (e.g. see test_enum.py), but we’re working to automate this. 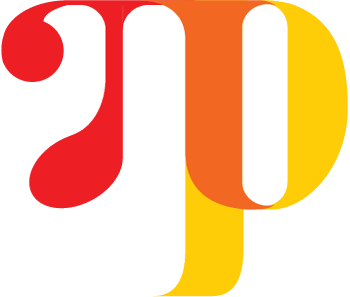 PyTorch has a JIT compiler that can help eliminate Python overhead. This may speed up Pyro models in the future.